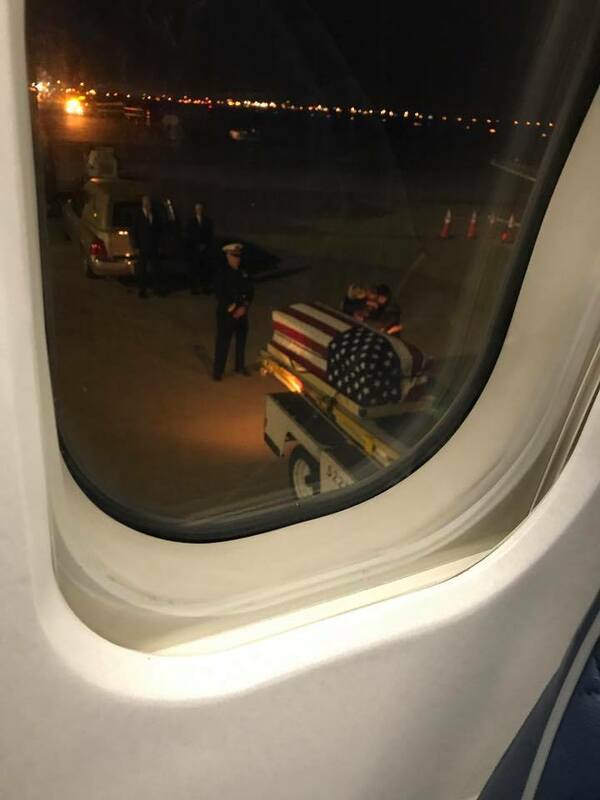 The Pilot Held Them On The Plane For A Moment Of Silence. The Entire Cabin Couldn’t Hold Back Their Tears. After his flight landed, Mike H. was confused when the captain’s voice came in over the intercom and asked passengers to stay where they were, but when they learned why, there wasn’t a dry eye to be found. The pilot told the passengers that they had just flew a fallen soldier home to her family. Brooke Newton, a 25-year-old member of the armed forces, was flown home and received by her parents and other soldiers from her unit, standing and saluting her casket. This moment hit me hard for some reason. I couldn’t hold back tears. As I looked around the plane, I was hoping nobody would see my moment of weakness but to my surprise, damn near everyone on the plane was crying.” He wrote. All around him, people were struggling to keep it together. The plane was filled with people of all races and religions. It was amazing to see everyone on that plane pay tribute to this woman and her family. I saw no division on that plane last night. I saw Americans paying respect to their countryman. A woman who put her life on the line for me, and you, and your freedoms.” He concluded. The post was shared tens of thousands of times in her memory, and the people who saw and shared her story hope that her friends and family know how much they appreciated her incredible sacrifice.